once upon a time, satan shat out a crystal, squeezing it through a body cavity resembling chinese-restaurant pork. that crystal, glowing red with embers, was seth troxler. as the fetal troxler grew, his ancestral roots began to manifest into a magnetic force more powerful than his feeble conscious mind could ever fathom. with time, he began creating some of the world’s finest, most intuitive dance cuts, and released them on the likes of spectral sound, wagon repair, crosstown rebels, circus company, items & things, raum…musik, fxhe (young seth), esperanza, leftroom, beretta grey, souvenier, and wolf + lamb. 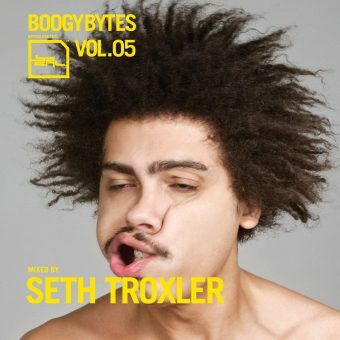 troxler’s music has been featured on audion’s fabric mix, arpiar’s circoloco 10 compilation, and matthew dear’s new get physical compilation, body language 7; troxler also remixed for minus (as thrill cosby), adults only and fever ray and mixed one of the best resident advisor podcasts of 2009. troxler began his dj career in 2002 at the age of 16, playing at detroit club “the works” and working as a clerk at detroit’s famous “melodies and memories” record store. amplified by these experiences, troxler’s preternatural understanding of rave- and dance-music history helped him conjure mixes like botticelli conjured his venus. he’s played gigs around the world, most notably at fabric, tenax, mutek, panoramabar, watergate, robert johnson, detroit electronic music festival, rex club, fuse, avalon, the end up, la’s avalon, and nyc’s wolf + lamb parties. as well as being a resident at berlin’s legendary club der visionäre, troxler is also a bimonthly party host and resident dj at berlin’s week end club and, along with friends ryan crosson and shaun reeves, at cityfox’s new zurich club alte börse. before relocating to berlin, troxler was a key conceptual force behind the us-based tesh club parties with partners-in-crime ryan crosson and lee curtiss. under the name visionquest, the trio hosts the annual “need i say more” party, which has become demf’s most anticipated after-hours since its inception in 2006. troxler’s influences include the chirping of crickets, the whirring of spaceships, and the sweet sound of whistling voodoo magic. troxler draws most of his inspiration from robert downey jr.; we must release downey from his shackles, troxler says, so that the actor can finally do heroin in peace. on cold detroit or berlin evenings one can often witness seth troxler in his front yard, situated beside an overly-cumbersome boombox in a nylon tracksuit, jacking his body to old dancemania cuts and cooking bbq. to be involved in such a happening, or eat any of his cooking for that matter, is truly magic. troxler also enjoys cooking, long walks on the beach, and candle-lit dinners.